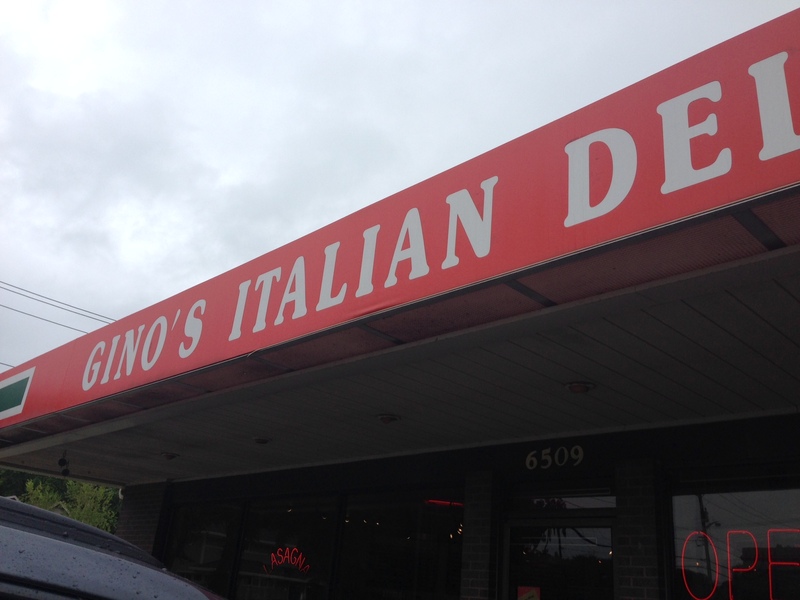 When I think of an Italian deli I think of hot beef, meatball subs and cannolis. And that’s exactly what I got at Gino’s when my parents and I grabbed lunch there a couple weeks ago. I had stopped in before and gotten Italian sausage and some pasta salad, but this time I wanted to go all out. Gino’s isn’t a fancy place to eat (the Middleton store only has a couple small tables behind some room dividers), but it is the perfect place to grab a good sub and take it to go. 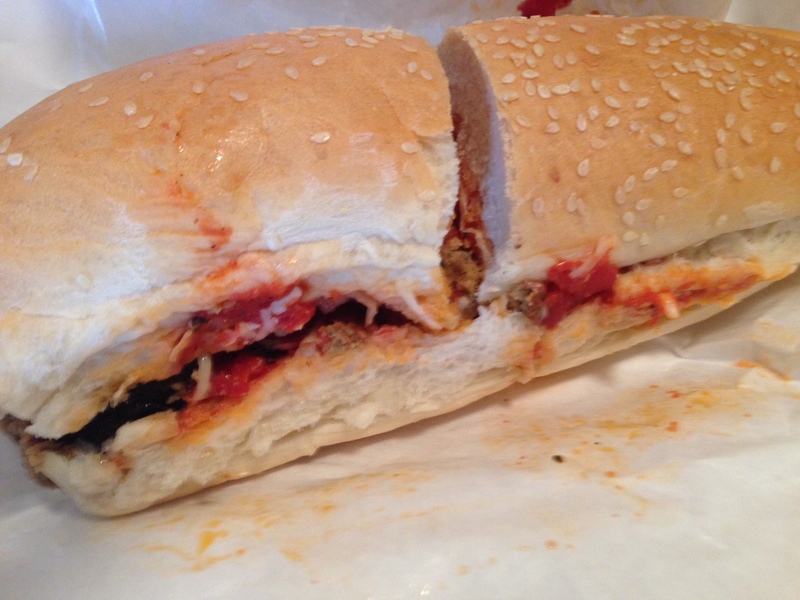 I got the large meatball sandwich, and probably should have gotten the small size. The large size seemed about the same size as a footlong sub at Subway. The bread was super fresh, with a crusty outside and a fluffy inside. The sauce was chunky and had a good level of salty flavor without overwhelming the tomatoes. The meatballs were also perfectly flavored and the perfect size for the bread. I’ve seen people each meatball subs from other places and everything falls out all over the wrapper, but Gino’s crusty bread was the perfect vehicle for the Italian-spiced meatballs and the zesty tomato sauce. It wasn’t a napkin-less sandwich experience, but I didn’t lose any of my filling to the table. 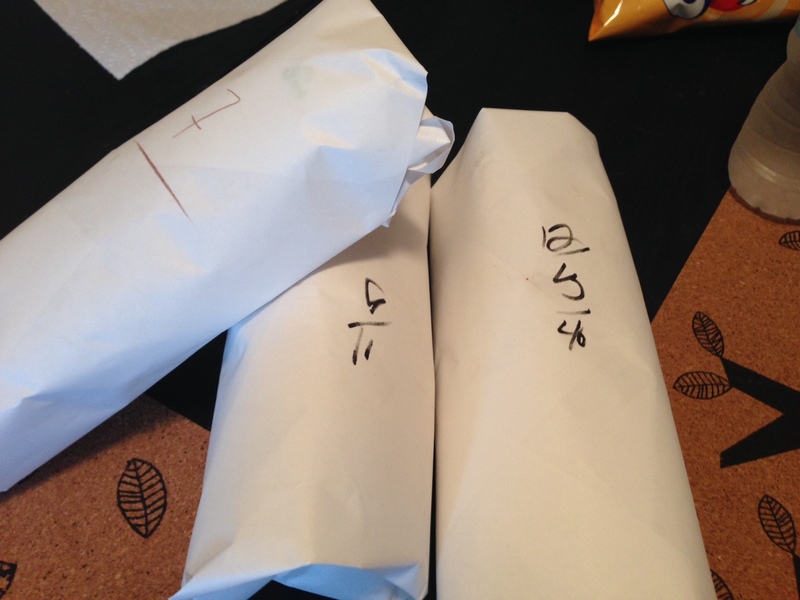 My dad got the hot Italian beef sandwich. 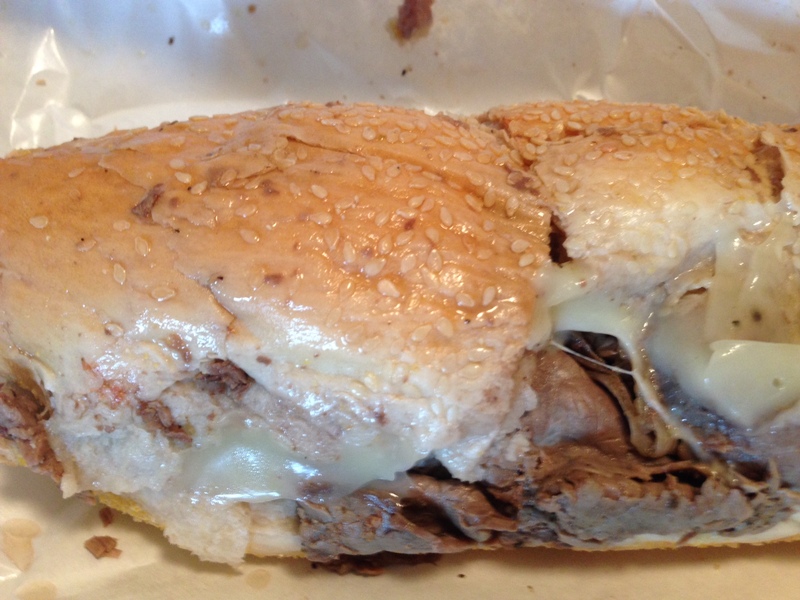 It came on the same super crusty bread, and was filled with a substantial amount of Italian beef. The super tender and perfectly seasoned hot beef came piled high with just the right amount of hot beef juices to soften up the crusty bread. The provolone cheese was a great addition, but it could have also used some spicy peppers. My mom got the concerts beef sub with sliced roast beef, lettuce and horseradish mayo. This sandwich was much lighter than the other two, but it was still extremely good. The roast beef was tender and lean, and the horseradish mayo added a great kick. The cold sandwiches don’t come on the super good crusty bread that the hot sandwiches come on, but the wheat bread was still pretty good in it’s own way. The day we went there was a little sign on the top of the counter saying they had homemade cannolis. So of course we got three. They were traditional cannolis, but they were not exceptional. The filling was the perfect balance of sweet and savory, but instead of putting pistachios on the end they put chunks of maraschino cherries. I didn’t love the cherries in place of the nuts, but they weren’t terrible. 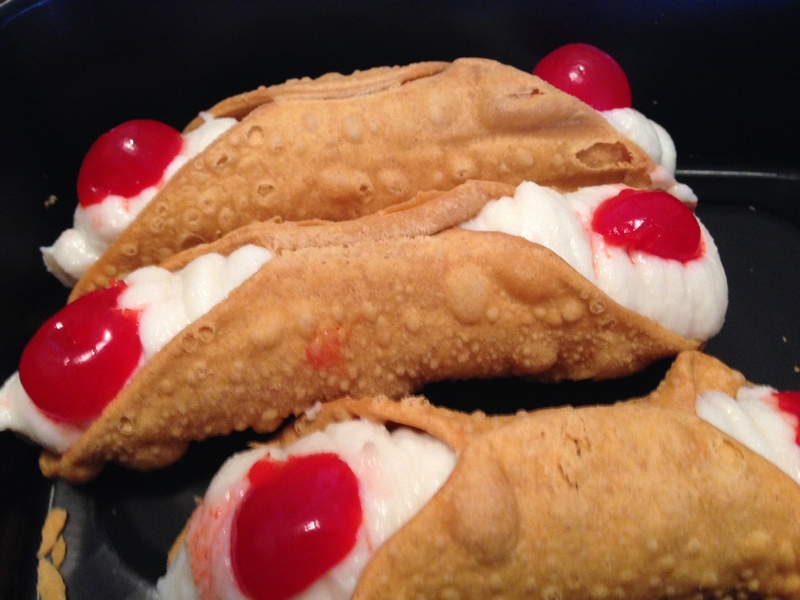 I liked the cannolis, but they weren’t the best I’ve ever had. 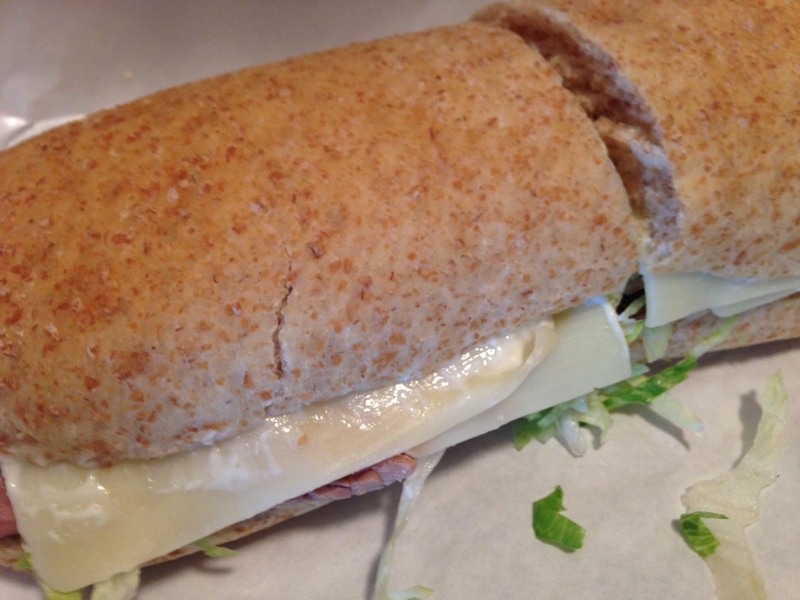 FOOD NOTES: Gino’s Deli definitely serves up quality Italian subs. The meatball sub was the perfect combination of crusty bread, zesty tomato sauce and amazing meatballs. The hot beef and roast beef subs were also extremely good, but not good enough to deter me from getting the meatball sub whenever I go back. The prices are reasonable for the quality of the ingredients and the size of the portions you get at Gino’s. If you don’t mind not getting a ton of ingredients I would definitely suggest going to Gino’s instead of any other sub shops in town.